Frugal Fitness: Reebok ZigLite Workout & Shoe Review! Reebok ZigLite Workout & Shoe Review! ZIGLITE FOR THE WIN!!! Get Yours At Reebok.com! Hey Frugal Fitness Fanatics! 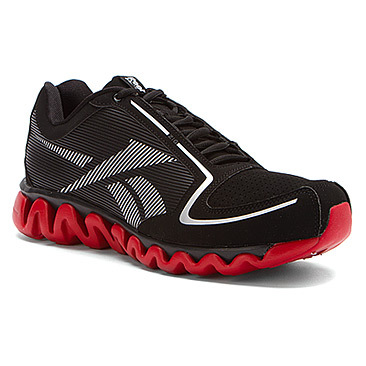 It's the ZigLite Zealot here to introduce you to my favorite Reebok shoes (even though I like them all) the ZigLites! I especially love these shoes for running because they really give me the cushion and support I need for my tendonitis-/bursitis-ridden right ankle which has given me problems over the past 6+ years. I run 4 miles at record pace with these bad boys and barely even notice my ankle problem! But they aren't just great for running. They are versatile enough to be used very effectively while doing your Crossfit WOD's, Frugal Workouts, Warrior Dash's, or anything else you can put them through. You've got to wear them for yourself to see the difference. I won't name names, but my old cross-trainer and running shoe brand just got ditched permanently, and I love the upgrade! "The Sport of Fitness Has Arrived"